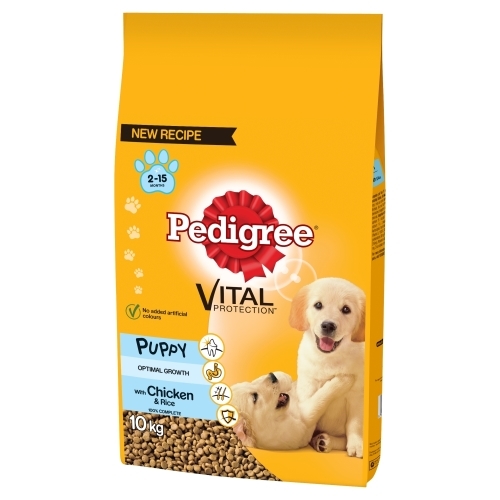 With over 40 years of experience the Pedigree Complete Vital Protection chicken Puppy Food is a delicious and crunchy way to help establishing the building blocks towards strong growth and health. Promoting four key areas, Digestion, Oral Care Skin and Coat and Immune System. Made with a recipe of chicken and rice it will be irresistible to young tummies who will enjoy munching on the different textures which can easily be digested making it gentle for even the most sensitive of dogs.